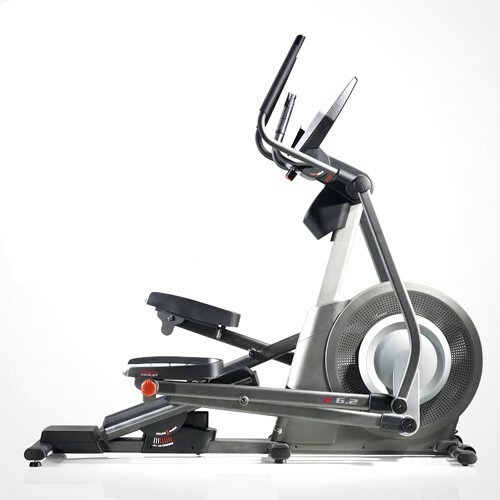 Built to perform, the FreeMotion e6.2 Elliptical, SFTL71213 delivers the ultimate workout. A 7" full-color touch screen allows you to quickly navigate through stats and settings with the touch of a finger. Built-in iFit Live™ Technology offers workouts Powered by Google Maps™, training with Jillian Michaels, competitions with friends and family and easy, online tracking. Plus, with Reflex™ Cushioning, you'll enjoy incredible comfort through every workout. With the FreeMotion e6.2 Elliptical, you'll boost your performance. Get smarter workouts and faster results with quality training in the comfort of your own home with the FreeMotion e6.2 Elliptical. With the FreeMotion e6.2 Elliptical, SKU: SFTL71213 will get smarter workouts and faster results with iFit® Technology. Featuring workouts Powered by Google MapsTM, training with Jillian Michaels and personalized, goal-specific programs, this wireless technology is the ultimate workout experience! Incline and decline controls automatically adjust to match terrain and maximize results. Now, with the 6.9T you can customize your own fitness program, receive automatic workout downloads and manage your profile online. Call 1-800-875-9145 to speak with one of our fitness advisors with any questions you may have. 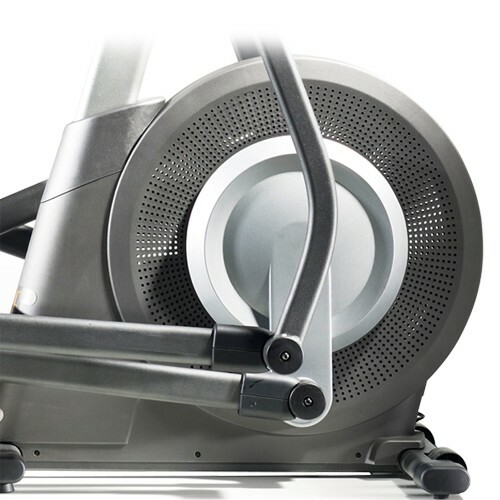 Go to FitnessZone.com today to order your FreeMotion e6.2 Elliptical. IFIT® ENABLED* › Get smarter workouts and faster results with iFit® Technology. Featuring workouts Powered by Google MapsTM, training with Jillian Michaels and personalized, goal-specific programs, this wireless technology is the ultimate workout experience! Incline, decline and resistance controls automatically adjust to match terrain and maximize results. Now, you can customize your own fitness program, receive automatic workout downloads and manage your profile online. *iFit® Enabled machines require an iFit® membership sold separately. 7” OVERSIZED HIGH-DEFINITION CONTRAST DISPLAY › Keep an eye on your speed, time, distance, and calories with this large LCD window monitor. RaceTrackTM display will track your laps and display your workout progression with track indicator graphics. 30 LB. EFFECTIVE INERTIA ENHANCED FLYWHEEL › Get a smoother, more comfortable workout with the heavy-duty, inertia enhanced flywheel. A faster gear ratio and effective weight placement deliver a more natural striding experience. 20 – 22” ADJUSTABLE STRIDE LENGTHS › Adjust your stride length to find the right fit. Plus, with each adjustment, you’ll change the way your muscles work, helping you add definition to your lower body. UPPER-BODY WORKOUT ARMS WITH COMFORTABLE, SOFT GRIPS › Get a total-body, low-impact workout with upper-body workout arms. Elliptical training engages your entire body, burns more calories and tones more muscle for faster results. 30 WORKOUT APPS › Enjoy health club-quality training with an impressive 35 Workout Apps. Choose between 8 high intensity, 8 performance, 7 incline and 7 calorie burn workouts designed by a Certified Personal Trainer to help you conquer your fitness goals. 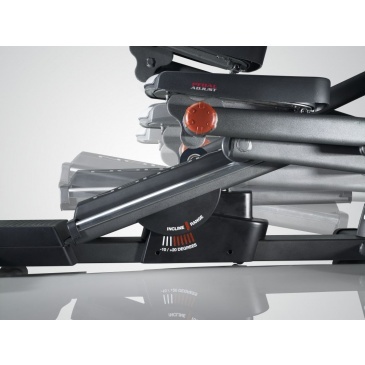 0–20% 1-STEPTM INCLINE CONTRO › Boost your weight loss with 1-StepTM Incline Controls. These controls make it simple to change the incline so you can reduce impact on your joints, burn fat calories and add variety to your workout. -10–0% 1-STEPTM DECLINE CONTROL › Instantly adjust your decline to stimulate different muscles and add balance to your workout. 24 DIGITAL RESISTANCE LEVELS › Increase calorie burn and workout intensity with 24 digital resistance levels. A quick adjustment quickly personalizes your workout and, with SMRTM Silent Magnetic Resistance, every adjustment is smooth and natural for a comfortable workout. COMPATIBLE MUSIC PORT FOR IPOD®* › Plug your iPod® into the Intermix AcousticsTM Sound System and stay inspired with your favorite power music*iPod is a trademark of Apple, Inc., registered in the U.S. and other countries. iPod® not included. COOLAIRETM WORKOUT FAN › Stay cool and comfortable, even on your longest run with these built-in, oversized fan that automatically adjust the fan speed to match your workout MPH. DUAL-GRIP HEART RATE MONITOR › Stay in your target heart rate zone with heart rate sensors built right into the handlebars. Your reading is displayed on the console for a fast, accurate progress checkup. OVERSIZED PEDALS WITH ANGLE ADJUSTMENT AND CUSHIONING › Target different muscle groups and find a better fit with these adjustable pedals. Three angle adjustments isolate different muscles and create a more dynamic workout. Quickly personalize your toe-to-heel angle for a more comfortable stride! COMMERCIAL-GAUGE SOLID-STEEL CONSTRUCTION › Built to last, this elliptical was made with commercial-gauge solid steel and has undergone rigorous testing to deliver heavy-duty, quality construction. WATER BOTTLE HOLDER › Stay hydrated throughout your workout by keeping your water bottle close. This convenient water bottle holder is built-in to the elliptical for easy access. TRANSPORT WHEELS › Moving this elliptical from one place to another is fast and easy with the built-in wheels. 350 LB. WEIGHT CAPACITY › Accommodating up to 350 lbs., the e6.2 elliptical is built for strength and durability. 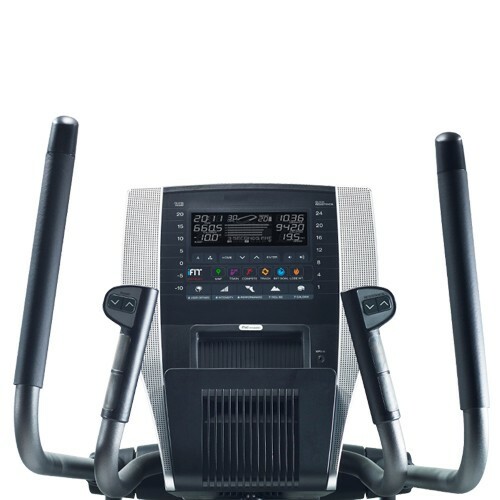 Order your FreeMotion e6.2 Elliptical from FitnessZone.com today!